If you have a “Website” or “Blog” then you must practice Search Engine Optimization (SEO) to achieve good ranking in search engine results page (SERP). 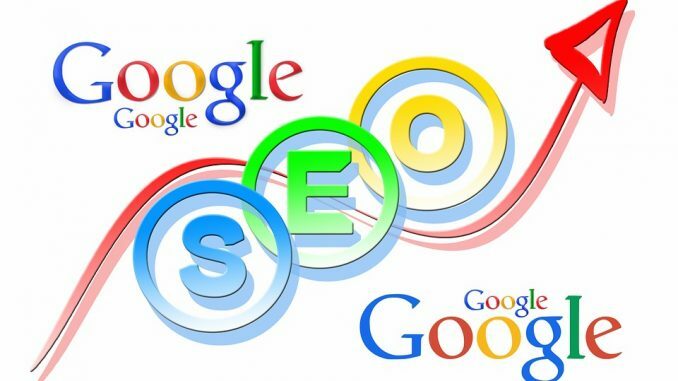 Search engines are the main source through which you can get organic traffic to your sites. Actually SEO provides a structure which makes it easy for users and search engines to understand your site. But to get your targeted traffic organically from search engines you need to implement set of rules and different tools of SEO to make this possible. You can do two things to implement it, hire professionals by paying them or you can do it by yourself. Hiring professionals will cost you hefty amount of money and doing it by yourself you can save that money and can utilize it to other aspects of the sites and in addition you can learn a new skill which will help you in your future online projects too. Now, If you want to implement SEO by yourself than keep reading this post. As I said earlier SEO implementation needs set of rules and various tools to understand and execute. Now the question here is what are the rules and different tools of SEO? When you ask this question to Google you will get (4,18,00,000) results. So, finding the resources and tools is not a tough job. But when you need “Top” and “Best” SEO tools and resources for practices than it’s really a challenging job to select among st the results. This is why after doing few days research I shortlisted top 25 SEO tools and websites through which you can do best practices of SEO. Learning is the the first step to do everything you wants to do and achieve. So, that is too applicable with SEO and the best part is you can do it by yourself when you have the resources and when you know where to begin. SO, without wasting any time just explore these top five sites to start learning SEO practices. It’s really important to have the best tools with you to compete in the Search Engine Rankings. If you have right tools in your arsenal than you can work smartly and faster. A good tool can make a huge difference in your SEO practices. I have collected top five tools which can be used in wide variety of needs and they are fast, free and user-friendly too. Search Engine changes their algorithm and search index process on regular basis so that they can provide best results to their searchers. So, it’s really important to get updated with these changes and other important updates of Search Engines and implement it in your sites accordingly. This my top five selected sites where you can get yourself updated with these SEO news and updates. Forums are one of the best way to get connected and updated with your community or like minded peoples. Forums are great platform for SEO, where you can learn, share and practice all together. You can ask Questions, share your expertise or you can join the discussions with community members which will definitely help you in your SEO practices. So, Don’t overlook it and here is my list of top five SEO forums you can join today. In this category, I would like to add some few more helpful resources which are really beneficials for SEO practices. So, This is my list of best resources and tools which I shared with you. Note:- One more thing I would like to add here, A lot of people want instant results after implementing it but always remember one thing “SEO is a slow and gradual process”. Any attempt for instant SEO results can do harm for your websites or blog so beware from bad practices. Hope my efforts will help you guys in your SEO practices. If you know about any other resources or tools which you think should be listed then feel free to share with us. How to add search functionality to your website?